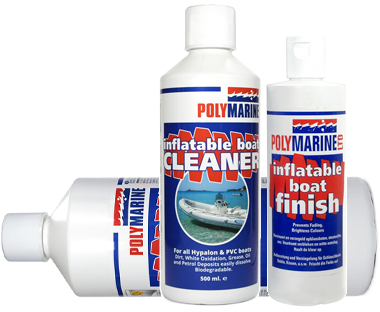 Inflatable boat cleaning, polishing and maintenance. 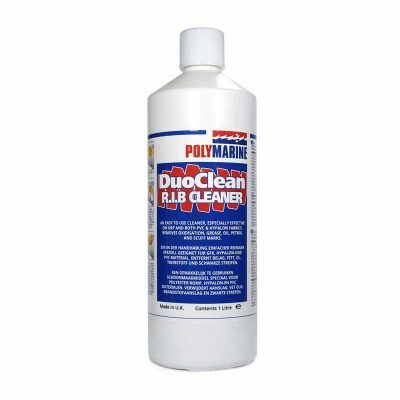 An easy to use cleaner for both PVC and Hypalon. 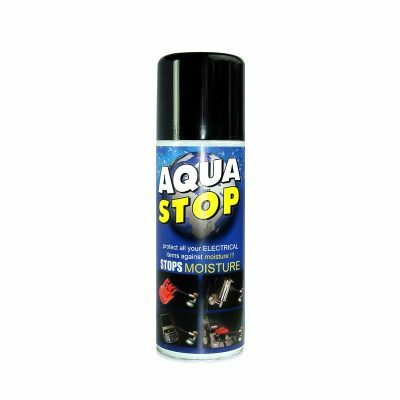 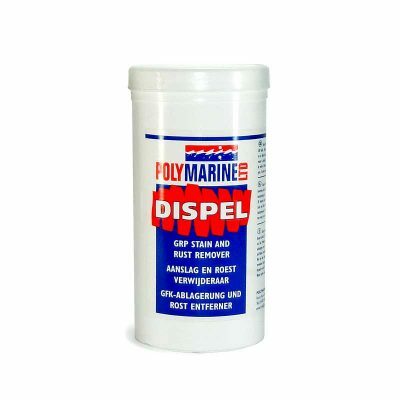 Dirt, White Oxidation, Grease, Oil and Petrol Deposits will easily dissolve. 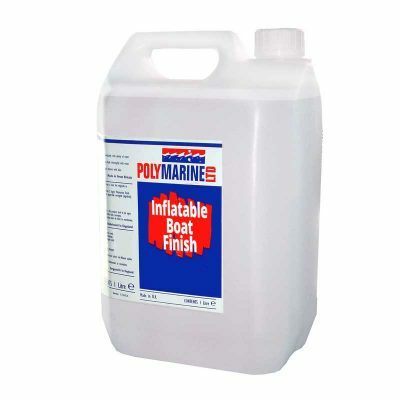 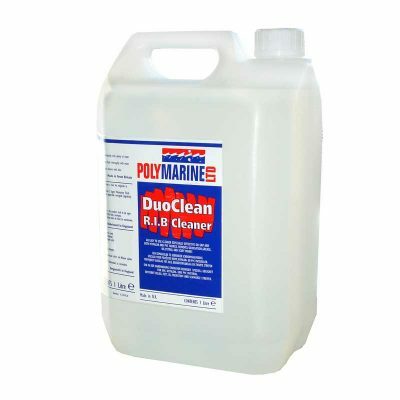 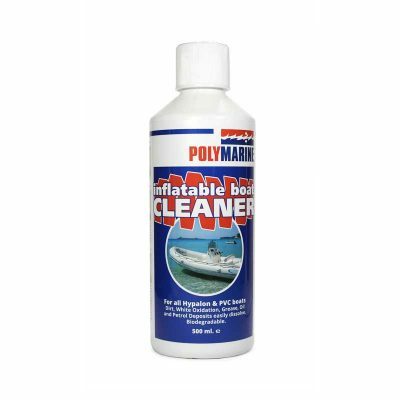 Polymarine Inflatable Boat cleaner is biodegradable. 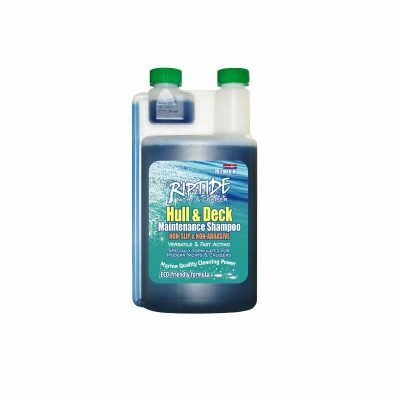 Environmentally friendly boat cleaning products. 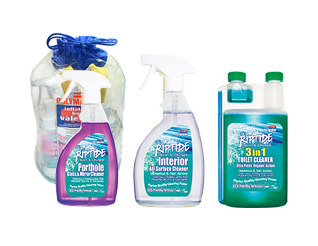 ECO-friendly cleaning products. 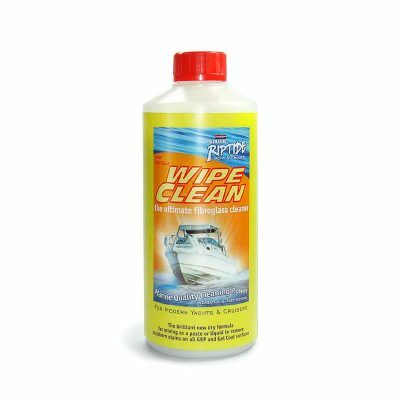 Specially formulated for powerful cleaning action on Modern yachts & Cruisers. 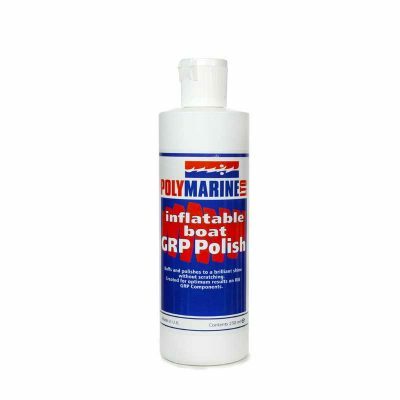 Effective on GRP, Glass, Chrome, and Stainless Steel. 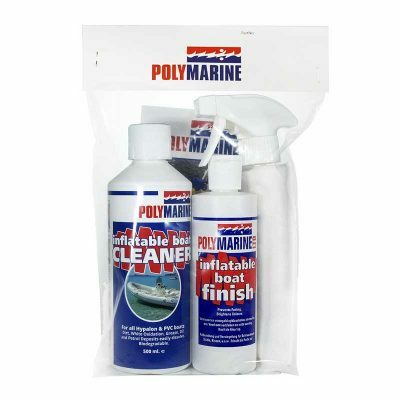 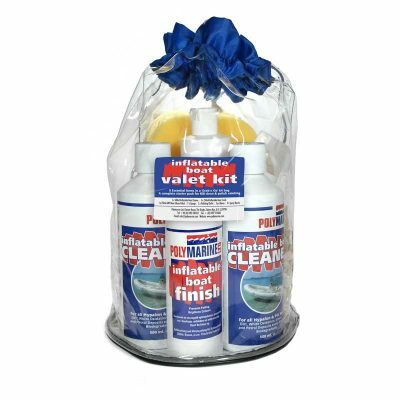 A safe, clean finish on your boat and safe for the marine environment too. 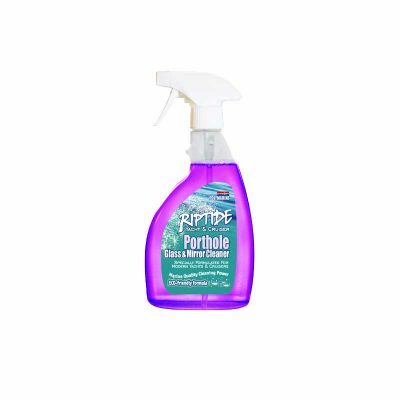 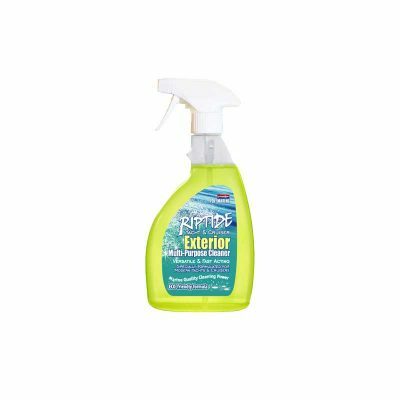 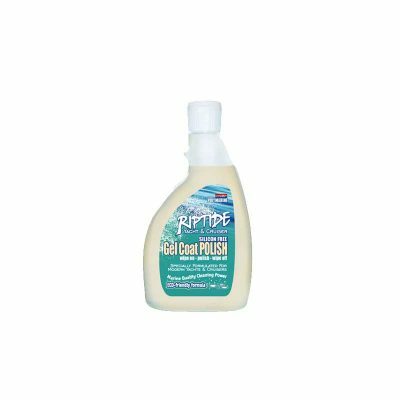 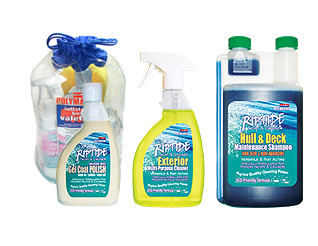 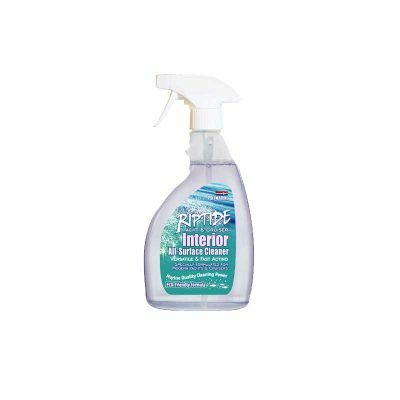 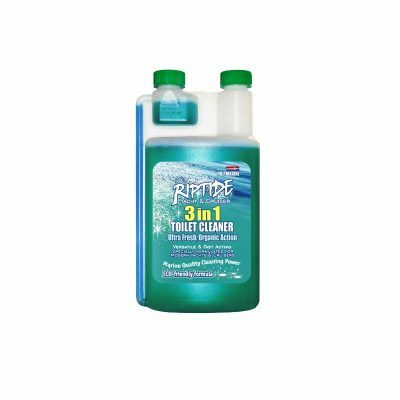 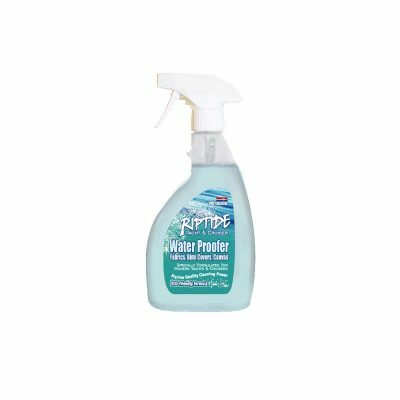 Eco friendly formula developed by Polymarine Ultra modern, bio-degradable formulas are key to the concept of the ‘RipTide’ range. 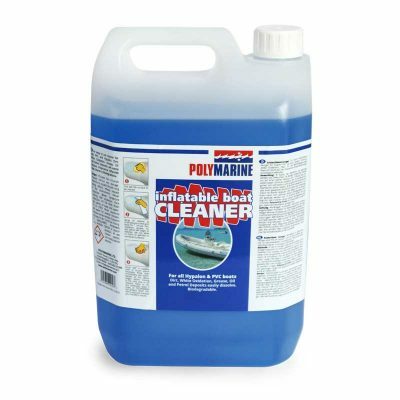 Ease of use, cleaning power and the sparkling results prove to be exceptional. 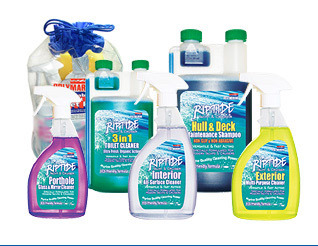 ECO-friendly Now all Modern Yacht and Power Cruiser owners can prolong the ‘as new’ finish of their pride and joy, safe in the knowledge that Riptide is ideally suited to the modern materials and finishes, both inside and out, and equally suited to use in a sensitive Marine environment.